Hollister Incorporated is a leading manufacturer of medical products that serves both patients and healthcare professionals. With the high-quality of products, it aims at making a difference in the lives of people using them. Hollister medical supplies include product lines related to ostomy, wound, continence and critical care. 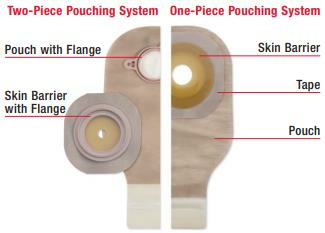 Ostomy care products are one-piece, two-piece pouching systems, skin barriers and accessories. Continence care comprises of urinary drainage collectors, male external catheters and intermittent catheters. Wound and skin care products by Hollister Healthcare include wound dressings, wound cleansers, skin cleansers, etc. Critical care products are namely tube fasteners and tube attachment devices. Hollister ostomy supplies help people to start with meaningful lifestyles after their ostomy surgery. They provide users with a wide choice of differentiated products, fulfilling their individual needs. One-Piece pouching system comes with an attached skin barrier that makes it easy to apply. One just needs to peel and then stick. In Two-Piece pouching system, skin barrier is separate from the pouch and both of them snap together with a flange. It gets easier for the user to unsnap and discard the pouch as and when required. In both the pouching systems, skin barrier is the adhesive portion which adheres and protects the skin. Different types of Hollister ostomy pouches go with the skin barrier. Choice of these pouches depends on the type of ostomy user has. Hollister wound and skin care products make the healing journey of patients easier and comfortable. They address various obstacles to healing like MMP reduction, moisture management, bioburden management and basic wound care. When managing bioburden is a priority, Hydrofera Blue antibacterial foam dressing, stands as a good option. It is non-cytotoxic and helps prevent infection from a broad-spectrum of microbes. It can be used as a secondary dressing. 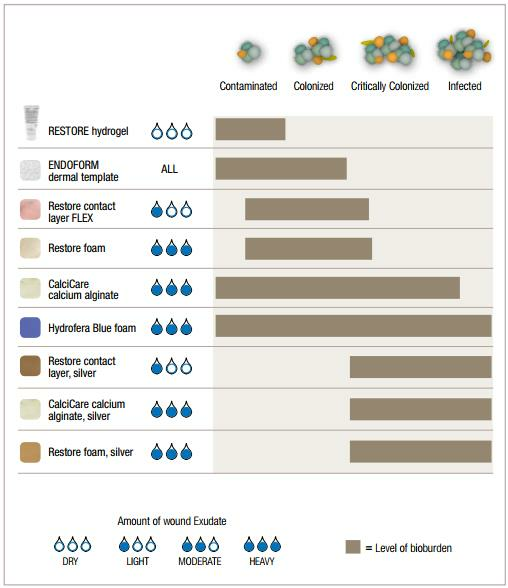 Restore product line of Hollister includes foam dressings with and without silver; contact layer dressings with and without silver; as well as calcium alginates, hydrocolloids and hydrogels. Endoform dressing combines the strength of a dermal template with the simplicity of collagen. Intact extracellular matrix of Endoform helps with epithelialization for final closure of wound. With time it converts into a soft conforming sheet and naturally incorporates into the wound. Hollister medical products for skin care play an important role in maintaining healthy skin. They are a must for everyday skin care. Wound wash or wound cleanser cleans the slough off the wound surface, removes the exudate and helps in keeping the wound site free from bacteria. Hollister Medical Supplies help the people suffering from neurogenic bladder needs, regain an independent life. They provide users with a choice of varied products to meet their individual needs. There are Hollister catheter supplies like intermittent catheters and male external catheters, and urine collectors available at HPFY. Closed-system catheters like VaPro Plus intermittent catheter or Advance Plus intermittent catheter are a perfect choice for happy travel hours. Hollister Advance Plus catheter is ready to use and comes pre-lubricated with a gel. There is no need to add water or burst water packets in all the VaPro touch free catheters. They are also ready to use straight from the packaging. Urine collectors include drainage bag kits, leg bags and bedside bags. Also, there are leg bag straps and tubing accessories present to add to the efficiency of Hollister continence care products.